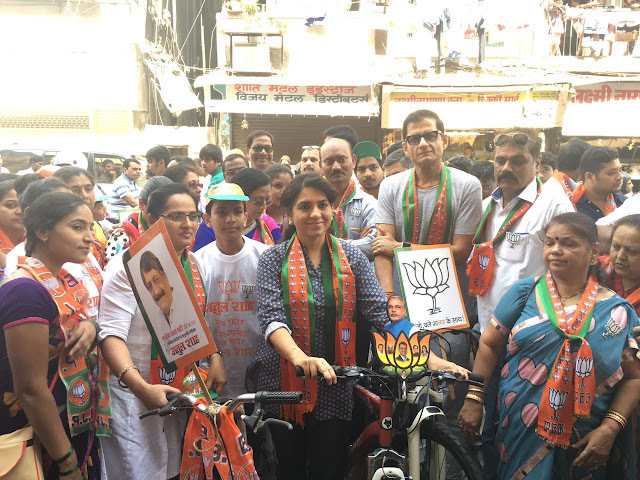 Mumbai 13th February, 2017: BJP South Mumbai’s Municipal Election Campaign was kick started in a unique fashion today by Environment and Green crusader Shaina NC where she accompanied candidate Atul Shah on his campaign trail on bicycles. 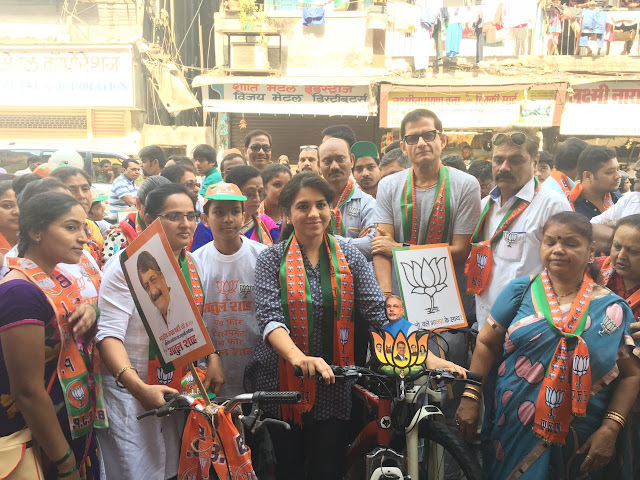 In an attempt to create awareness and promotion of a clean Environment and City Shaina NC along withAtul Shah cycled across South Mumbai Ward No 220 from CP Tank through Kumbharwada. This campaign is also targeting youth to become part of a more socially and environmentally aware society and promote clean and green living apart from being actively involved in civic duties and responsibilities. Shaina NC has been an active propagator of green living and has been at the forefront of many campaigns along with her father Shri Nana Chudasama.She holds the positions of national spokesperson for the BJP, member of the national executive council of BJP, and treasurer of the BJP's Maharashtra unit as well as president of the newly created Health and Cultural Cell of the BJP. Shaina is also involved in social work through her charity fashion shows and two NGOs, 'I Love Mumbai' and 'Giants International'.